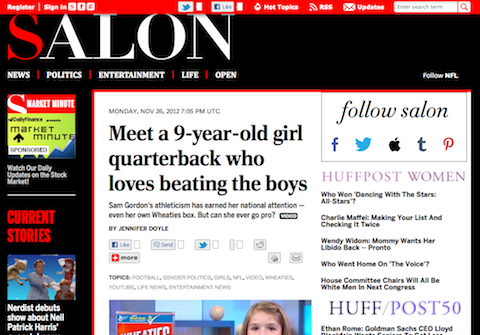 Salon.com has been an industry leader since the dawn of the Internet for online breaking news, politics, culture, technology, and entertainment. Salon has over 10 million monthly unique visitors and currently ranks in the top 400 most visited sites for US web users and in the top 1300 most visited sites for worldwide Internet users, although Salon did recently reach a high of 800th worldwide. The American Journalism Review called Salon the Internet’s “preeminent independent venue for journalism.” Additionally, Salon has received numerous awards over the years since its inception. RookSoft Pte Ltd developed the mobile apps for both iOS (iPhone, iPad) and Android platforms.